Innovation Norway, an enterprise established by special legislation, of which the Norwegian State owns 51% and the county councils own 49% has issued an RFP. Innovation Norway’s objective is to be the policy instrument of the state and the county councils for achieving value-creating business development throughout the country. Every year, Innovation Norway, carries out a variety of marketing activities in ten different markets which include activities in consumer and travel trade media, targeted to defined target groups. The aim of the activities is to increase knowledge about and interest for Norway as a holiday destination, to increase awareness of and visits to our tourism website: www.visitnorway.com where the result of the activities is intended to increase interest to and demand for Norwegian tourism products. The campaigns and activities are planned and implemented in close co-operation with Innovation Norway’s partners which comprise of companies within the Norwegian and International tourism industry. The purpose of the tender is to enter into a framework agreement with a global agency that will be a strategic advisor to our offices in Oslo, London, The Hague, Paris and Hamburg in relation to choice of media, media mix and timing for the implementation of consumer and trade campaigns. In addition, the agency should make recommendations, negotiate and purchase relevant media for the activities. Planning and execution of activities and campaigns is carried out in conjunction with Innovation Norway and in close co-operation with other relevant working partners such as creative agencies. It is imperative to become thoroughly familiar with Innovation Norway’s strategy and target groups for the marketing of Norway as a tourist destination and communication concept for activities and campaigns. The supplier should also have well documented knowledge and experience from working within the tourism industry in the relevant markets. The intention is to enter into a framework agreement with a supplier. A two-year agreement will in the first instance be entered into with IN Hamburg, IN The Hague, IN Paris and IN London, with the option for a year by year extension on the same terms to a maximum of four years. The contract should allow for the possibility of extending these services to the remaining IN markets including but not exclusively to IN Copenhagen, IN Stockholm, IN Madrid, IN Milano, IN New York, IN Moscow. 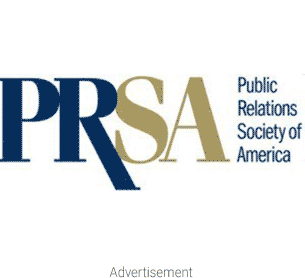 Strong consumer travel PR firms include Lou Hammond PR, Coyne PR and 5WPR.